A landlocked, first class municipality of Cavite, Silang host the second dream project of Don Tim Development Corp., the South Midland Silang. This ambitious residential development is touted to revolutionize the landscape of Silang. With the first phase almost complete as of this writing, the project covers a sprawling 11.30-hectare of raw land, with more than 280 lots in the offing, comprising of lot area that ranges from 240 to 300sqm. Phase 2 is next in line, with area covering 13 hectares. The project is primarily a house and lot or lot only offerings. There is no stopping now the full-blast development of South Midland, which is situated along Km 50, E. Aguinaldo Highway, Brgy Lavatan, Silang, Cavite. 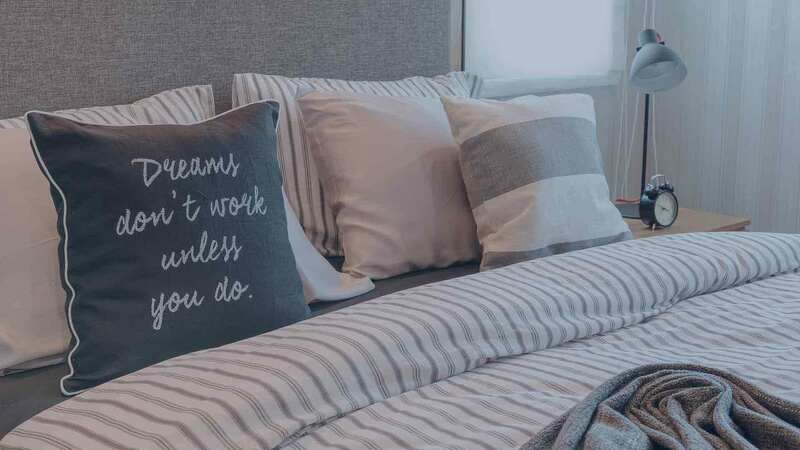 After the company’s successful bid with the development of Montebello Tagaytay, Midland would be the next destination for those who want Don Tim’s expertise in developing truly functional and relaxing residence at an affordable price. The project boasts of priceless comfort amidst modernity and innovative homes set against the countryside environment. South Midland offers first class homes and entertainment, its site is just a few kilometers away from the scenic Tagaytay highlands. Various schools, entertainment and leisure centers, commercial centers, attractions, hospitals, place of worships, and other important places are thriving within the site’s immediate locality. The project is less than a 2-hour drive from Manila, with well-paved roads, free of traffic and pollutions. South Midland is a nature’s paradise in itself, with lots of greens, an oasis in the middle of the town, and cool breeze and perpetual nature’s bounty in a single loation. There’s always a reason to look forward to something. It can be that promotion you’ve been waiting for your entire career, an impending marriage to the love of your life, or the birth of your child. Whatever the case may be, life is full of excitement and wonderful reasons to be filled with joy. As such, things can be a tad better if you can celebrate these important occasions in a place you can call your own. There are so many options to choose from but one property can stand out from all the rest – South Midland. Don Tim Development Corp., the company responsible for South Midland, has transformed 11.3 hectares of land into a property that’s everyone will be talking about. South Midland is being conceptualized as luxurious property right in the heart of Silang, Cavite. There are more than 280 lots that will be made available for prospective home buyers. These lots range from 240 to 300 square meters to provide a generous amount of space for your residential plans. With the benefit of this spacious lot, you can plan and construct a house that will bring all of your dreams to reality. And the reason that will entice you the most is this property’s affordability. Each residential lot has a corresponding payment scheme that makes it easy for you manage. You won’t even need to worry about going overboard with your expenses because South Midland has you covered in that aspect. Relocating your home away from the hustle and bustle of the metro shouldn’t be too bad. In fact, every aspect of your life will experience an improvement when you move to South Midland. Situated in Brgy. Lavatan, Silang, Cavite, property is located in an area where the beauty of nature is perfectly blended into a modern and urban setting. A home in this residential project and in this area can guarantee a healthy environment for you and your loved ones to thrive in. And since South Midland is in a place that’s outside of the big city, you might be worrying how this distance will affect your lifestyle. Ease up on your worries because it won’t be a drastic change. This property is situated along Aguinaldo Highway, a major road that will easily bring to important parts of the city, such as Manila, Alabang, Makati, and Taguig, among others. With the help of this strategic location, you can be in your workplace, fulfill important errands, or just spend quality time in various places in the city. Owning a car is a luxury most people in this country don’t have. If you are one of these people and you’re planning to get a home in South Midland, you’d be comforted to know that commuting will be no hassle at all. Since this property is situated along Aguinaldo Highway, a lot of buses, vans, and jeepneys are always available to transport you to vital parts of the metro. You can easily plan your daily schedule out without any need to modify your travel time drastically. If you’re after a home that’s near important establishments, South Midland is definitely the place to be. With these places near your residence in this property, it’s impossible not to shop for the things you need, be entertained, or do the tasks you needed done. South Midland’s location is within close distance to various schools, commercial establishments, recreational facilities, places of worship, and medical institutions, among others. Plus, you don’t even need to spend such a long time in traffic to get to these places. With just a short amount of travel time needed, you can accomplish so much without spending the entire day. Along with these great establishments, you’re also just a short drive to Tagaytay City. If you fancy a quick getaway from fatigue and stress, you do so in this area with all the wonder activities you can engage in. You no longer need to allot a whole day just to have an amazing time with your family and friends there. Your home in South Midland will serve as a gateway to all the awesome destinations Tagaytay City and nearby towns have to offer you. Finding a home that has everything we want is hard to do these days. It could be affordable but situated in a questionable community, or the house itself is perfect but the price will bankrupt you right away. When you choose a home here in South Midland, you can be assured of a quality home in an area that can support your ideal lifestyle. And with a price tag that you can afford, there’s no good reason to pass up for a residence in South Midland. Don Tim South Midland in Silang Cavite, Philippines is a premier House & Lot project available for sale. If you're looking to rent or purchase South Midland, then check here first. We have full details of South Midland updated regularly as well as everything you need to know about the availing and booking process, broken down into stages that includes selecting a unit, choosing a payment plan and buying your dream home at the right price. For price list, free site tripping or showroom visit, personalized service, model house, unit plans, floor plans, payment terms, CHAT LIVE with an agent 24x7. We are Remax Perfect Homes. Always only buy from PRC licensed Real Estate Brokers and Agents. For those who want to purchase a lot only, this could be welcome development on your part. The choice makes a lot (pardon the pun!) more different. This option is more profitable for small developers as you can utilize your purchase lot or lots to build a house of your own design and then sell it to someone. South Midland offers one of the most innovative house designs in the industry. The Elegance home model is truly elegant! This 2-storey wonder of engineering has 3 bedrooms, 3 toilet and bath, a covered carport, wide area balcony, with floor area of 171.03sqm and lot area of 240sqm. Very spacious, indeed! The first level is where the master’s bedroom is located, together with its own toilet and bath, lanai, veranda (aside from a balcony), service area, porch and spacious areas for kitchen, dining and living rooms. The second floor has the 2 bedrooms, each with its own toilet and bath. Innovations at South Midland never stop at all! Your beautiful home is combined with similarly elegant and truly recreational amenities. These include clubhouse, 25-meter lap pool, kiddie pool, multipurpose hall, gazebos, picnic area, children’s playground, landscaped gardens, grandiose entrance gate with guardhouse, 24/7 security, and so much more amenities.